(Turin, Italy) – Situated between the blue waters of the Adriatic Sea and the forests and mountains of Basilicata, Puglia offers a landscape of beguiling views, ancient olive groves, and UNESCO sites. This new cycling tour being offered by Tourissimo and Ride & Seek as part of their PLUS Tours series highlights two of these UNESCO sites – Alberobello and Matera. 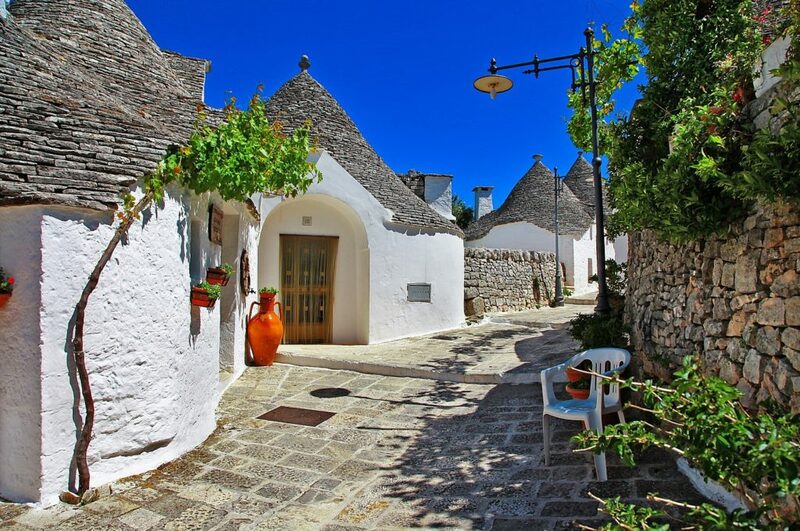 The former is known for its trulli, whitewashed stone huts with conical roofs, whilst the latter for its cave dwellings built into the calcareous rock. Guests will cycle the road-less-traveled with average daily rides of 40 km, and spend evenings dining on gourmet cuisine and fine wines. The trip starts in Savelletri with fig trees, blooming cacti, and herb gardens offering delightful fragrances. Guests will ride through one of the gems of Puglia: the Valle D’Itria. Its wooded slopes, vineyards, and endless olive groves are punctuated by the coned roofs of trulli. The trip is scheduled for October 10-17, 2019 and starts at $4,195. For more info, visit https://www.rideandseek.com/tour/puglia-the-best-of-southern-italy/. On Grasshopper Adventures’ 8-day cycling tour, guests pedal past karst mountains, alongside rivers, and through remote hill tribe villages. (Bangkok, Thailand) — With its dense forests, limestone caves and seemingly endless waterways, Laos is a dream destination for intrepid travelers seeking an off-the-beaten-track corner of Asia. On Grasshopper Adventures’ 8-day cycling tour, guests pedal past karst mountains, alongside rivers, and through remote hill tribe villages. They boat down the Mekong River, hang out with Buddhist monks, take cooking lessons, learn about rice wine making, and visit both bear and elephant conservation sanctuaries. “This tour gets people away from the large infrastructure works that are being undertaken throughout much of the country and closer to what Laos is all about, the villages, the tribes and the natural environment,” said Grasshopper Adventures founder Adam Platt-Hepworth. The cycling offers nice variety, including back roads and quiet highways. There are some short, manageable climbs, but the stunning views and Hmong village scenery are ample rewards for the effort. Most days include undulating terrain, with a fair share of flat pedaling along winding river roads. The trips starts at $2,600 per person double and include 195 km of moderate cycling from Muang Xa to Luang Prabang. For more information, visit https://www.grasshopperadventures.com/en/scheduled-tours/lao-lao.html. Taking clues from Pinterest’s most popular searches, top travel trends for 2019 are bike tours (my favorite), out-of-the-way towns, less-traveled islands and divine, derelict and dilapidated castles. Here are 11 trips that will help you turn these oft-pinned ideas into reality. 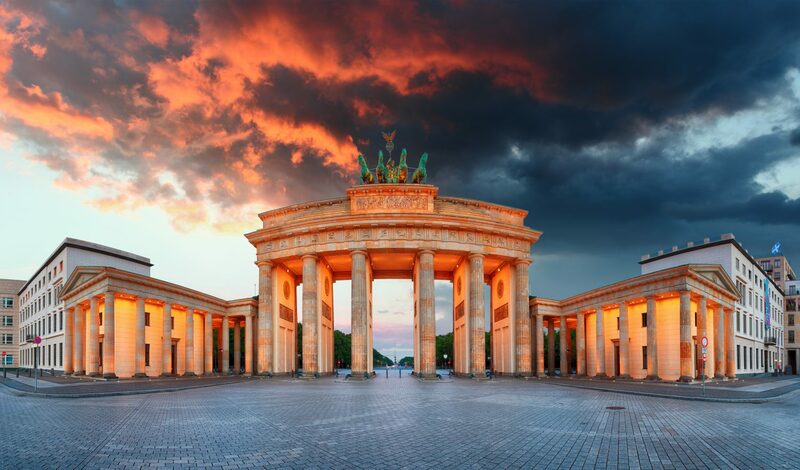 Ride & Seek ‘s nearly 1,000 mile Berlin-to-Budapest “Iron Curtain” epic cycling adventure includes five capitals and five distinct cultures connected through a historic period that changed the world. (Provence, France) – Ride & Seek is introducing a new Berlin-to-Budapest “Iron Curtain” epic cycling adventure that includes five capitals and five distinct cultures connected through a historic period that changed the world. This nearly 1,000-mile bicycle tour begins in Berlin where the fall of the Berlin Wall signaled the collapse of the Soviet Union and the end of the Cold War. The trip travels from north to south along some of the best cycling routes Europe has to offer, weaving its way south through Western Europe and what was once part of the Soviet Union. It is offered in two stages– Berlin to Prague over eight days and Prague to Budapest over 11 days. The “Iron Curtain” tour is slated for August 18 – September 4, 2019, and starts at $8,318 USD. To view the full tour, visit https://rideandseek.com/tour/iron-curtain-berlin-to-budapest/. Guests will cycle past palaces and through Sorbian villages to the Polish border. In the Czech Republic, they will ride through the romantic countryside of the Czech Middle Mountains and follow the banks of the Elbe River. Bohemia provides peaceful cycling interspersed with beautiful castles, medieval and renaissance towns surrounded by monumental walls. Biking close to the Austrian border, riders will pass well-preserved fortifications from the beginning of WWII. In Austria, they’ll cycle along wooded hillsides and through green meadows onto the Danube River and into Vienna on beautifully kept cycle paths. 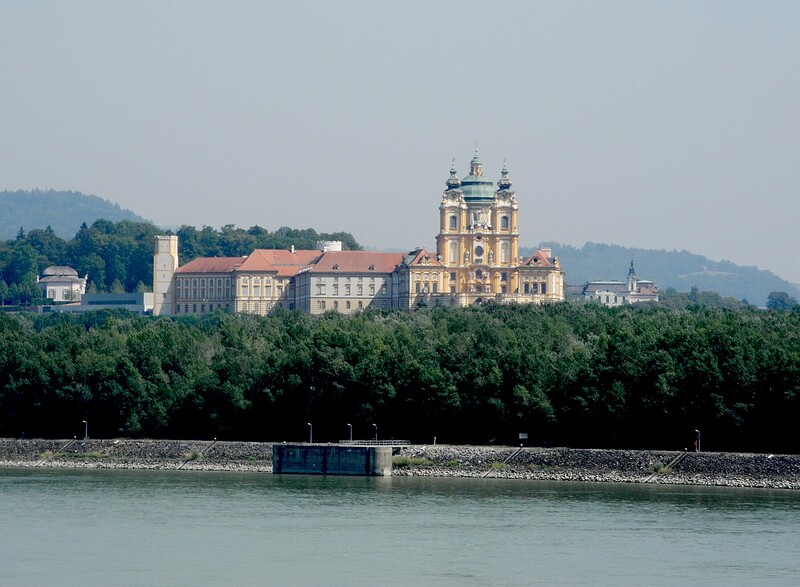 From one capital to the next, guests will follow the blue waters of the Danube River past the luxurious palaces of the Viennese nobility to Slovakia’s capital, Bratislava. The group will continue through Hungary to the baroque city of Györ, and then travel through rolling hills famous for its racehorse studs before returning to the Danube River. The last day will include a ride along one of the most scenic parts of the Danube, where the river enters steep hills, creating stunning meanders into the lively heart of Budapest. Sampling Austrian schnitzel, Viennese-style coffee, chocolate Sachertorte cake, Hungarian Goulash, and German bratwurst. Ride & Seek is a worldwide adventure cycling company offering historical itineraries with quality lodging, fine gastronomy, and cultural immersion. Cyclists not only see and ride some of the greatest roads in Europe but also visit some of the most spectacular sites as well. Providing a cultural insight into the areas both historically and gastronomically is central. Historical journeys and cultural adventures are specialties. www.rideandseek.com. TORONTO – Pedal from Canada’s Arctic Coast over the Rocky Mountains and across the Southwest U.S., down the Baja California Peninsula and deep into Mexico, then through six Central American countries to the Panama Canal on a new route for TDA Global Cycling’s North American Epic tour in 2019. 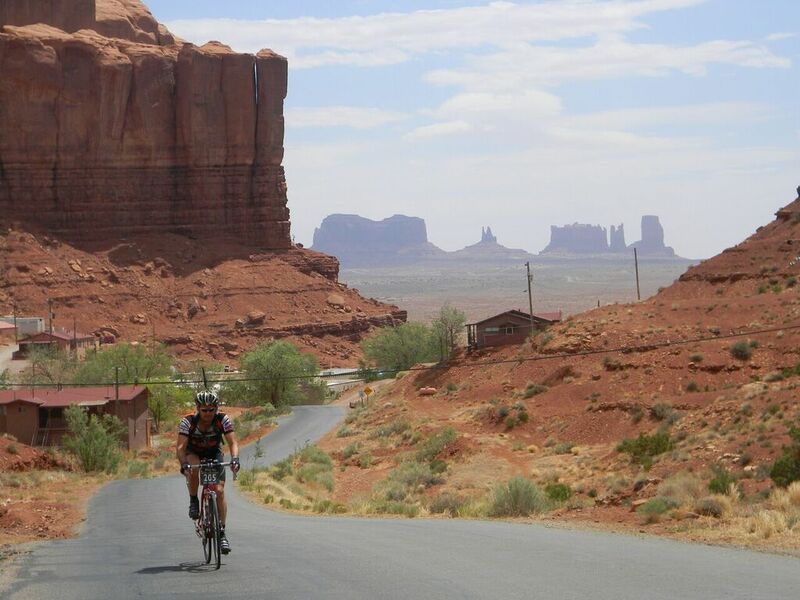 Covering 8,750 miles in 5 1/2 months, the North American Epic truly is TDA’s most epic bicycle expedition. The full tour begins July 4 and ends Dec. 15, 2019, starting at $24,900 per person based on double occupancy, with shorter sections available from $1,900 for nine days. Starting from Tuktoyaktuk on Canada’s Arctic Coast, riders will depart along the first all-season road out of the community, traveling through tundra and historic gold rush towns, down the Alaska Highway and over the famed Icefields Parkway. Across the U.S. border, they’ll climb the Continental Divide in Glacier National Park, then continue past Yellowstone to the red rock arches, canyonlands, buttes and mesas of the desert Southwest. After entering Mexico, riders will find sunny seaside towns in Baja California, ferry across the Sea of Cortez and turn inland, then pass highlands and heritage sites from Mexico City to Oaxaca and Chiapas. Finally, riders will take in views of volcanoes and Pacific surf through six Central American countries, before crossing the Panama Canal as they arrive in cosmopolitan Panama City. Along the way, the North American Epic will also present riders a variety of cultures to experience, from Inuit communities in the Arctic to indigenous hospitality in Chiapas, and the possibility of wildlife to watch, from moose, bison and bears in the Rockies to crocodiles and snakes in the Costa Rican rainforest. TDA Global Cycling was established in 2002 after company Founder and Director Henry Gold managed a nongovernmental organization in Africa in the 1980s. Gold envisioned providing inexpensive, rugged mountain bikes as a solution to local transportation needs, funding them through a cycling race. In 2003, the first four-month Tour d’Afrique set a Guinness World Record for the fastest human-powered crossing of Africa. At the same time, the TDA Foundation was set up to give back to communities and raise awareness of bicycles as a means of transportation. TDA Global Cycling now offers 16 long-distance cycling expeditions in over 80 countries on six continents, and it has donated more than 2,300 bicycles in Africa and India through the TDA Foundation and local partners. TDA’s tours are staff- and vehicle-supported, and participants cover 60-70 miles a day. Tours range in length from 10 days to multi-month transcontinental expeditions. In 2015, TDA Global Cycling was chosen best adventure travel company in the world by the Independent Travel Awards. For more information, visit http://tdaglobalcycling.com/ or call 416-364-8255. Ride & Seek offers an opportunity to cycle Hannibal’s route, 1,787 miles from Barcelona to Rome. Sydney, Australia– Ride & Seek offers intrepid cyclists a chance to follow in the footsteps of the Carthaginian general, Hannibal Barca, on a 1,787-mile fully guided cycling tour through Spain, France, and Italy. 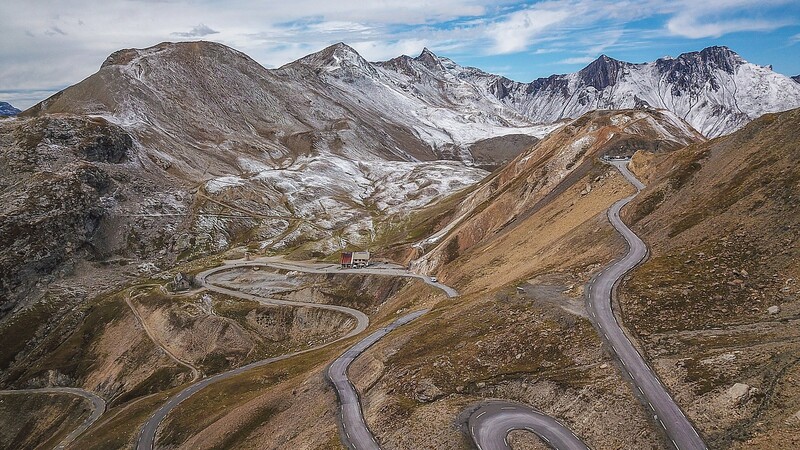 The 28-day journey takes riders over the Pyrenees, Alps and Apennines on roads featured regularly in the Vuelta a España, Tour de France and Giro d’Italia bike races. Cyclists will embrace cultural and historical elements of Catalonia, Languedoc, Provence, Piedmont, Tuscany, and Umbria, including culinary delights, as they meander down roads less traveled. The “Hannibal Expedition” is divided into two distinct stages, and guests can choose to participate one or both of them. The tour is slated for September 2-30, 2018 and starts at $6,540. Stage 1 – Barcelona to Alba (968 miles, 16 days): Starting in Barcelona guests will cycle up through Cataluña and over the Pyrenees mountain range. The crossing of the Pyrenees is obviously a tough undertaking but the route doesn’t tackle the highest peaks, which makes this stage a relatively relaxed introduction to what’s ahead. Guests enter France through the lovely town of Ceret, which was once home to Picasso, before continuing through the beautiful French countryside of the Languedoc-Roussillon. The second part of stage 1 provides an opportunity to take on a number of iconic climbs – Ventoux, Galibier, Alpe d’Huez, Agnel and Izoard among others. 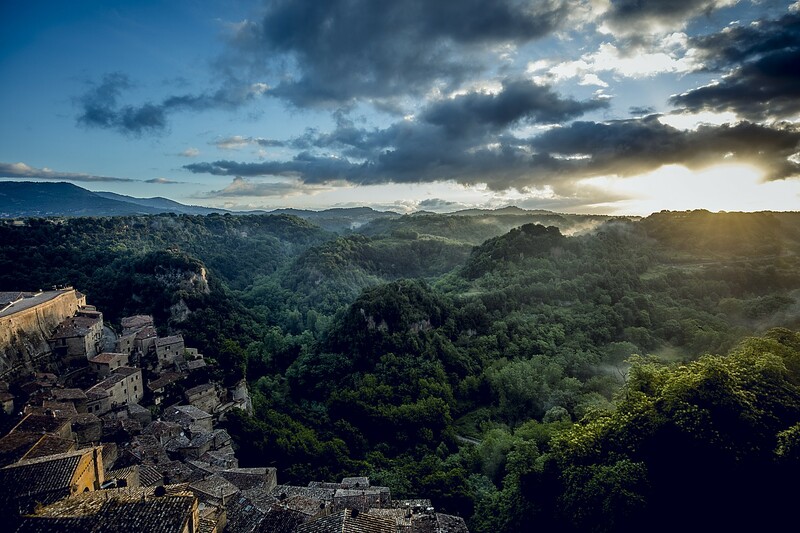 Stage 2 – Alba to Rome (818 miles, 14 days): Stage 2 takes riders across the spine of Italy – the Apennines – and through a landscape of vines, castles, agriculture, and beautiful hill towns. Starting in Piedmont, riders will traverse the spectacular Oltrepo Pavese and head into Emilia Romagna. From Pisa, guests venture farther into Tuscany through what can only be described as picture postcard scenes en route to Rome. “This tour offers total immersion into the landscape, history, and culture as we ride an inspirational trail on the roads less traveled,” said Ride & Seek President Dylan Reynolds. The company has partnered with Lynskey, considered pioneers in handcrafted Titanium production for its fleet of Sportive bikes. On the carbon front, the company offers De Rosa bikes with electronic (di2) shifting and the ever-popular Specialised Roubaix. For those looking for a less aggressive cycling option, flat bar titanium bikes are available as well as Bosch pedal-assist bikes to make the hills a little easier! Ride & Seek has unveiled a cycling tour of historical proportions: tracing the footsteps of Julius Caesar on a 33-day, 2,929 km journey from London to Rome. (Sydney, Australia) — Ride & Seek has unveiled a cycling tour of historical proportions: tracing the footsteps of Julius Caesar on a 33-day, 2,929 km journey from London to Rome. Split into two stages, the “Caesar Expedition” traverses England, Belgium, France, Switzerland and Italy on a historical, gastronomic and cultural excursion. Crossing waterways, vine-clad hills and mountain passes, this is the only tour of its kind being offered today. The two-stage Caesar Expedition is slated for June 3, 2017 to July 5, 2017 and starts at $14,276 USD for the full tour or $7,405 USD for a 17-day stage. Starting in London, riders head to the white cliffs of Dover before traversing the channel into France by boat. The cycling route through France includes the Champagne region and into the gastronomic heartland of Burgundy. From there, guests ride alongside Lake Geneva in Switzerland and over to Italy. The route through Italy heads towards the picturesque northern lakes of Como and Maggiore before moving up towards the stunning limestone peaks of the Dolomites. From that point on, riders experience a bit of respite descending down to Venice and along the Adriatic coast. After crossing the mythical Rubicon, once marking the boundary between Roman controlled Italy and Cisalpine Gaul, the route heads inland through the more rugged regions of Abruzzo and Molise, before heading due east to Rome. “We’ll enjoy some relief from the hills as we follow the Adriatic Coast before heading inland to the Via Amelia and crossing the Rubicon as Caesar did uttering those fateful words, ‘The die is cast’, as he descended on Rome ,” said Wood. For more information, visit www.rideandseek.com/epic/caesar. (Arlington, MA) – Ciclismo Classico has unveiled a new week-long cycling and hiking tour of Nova Scotia. Guests will enjoy scenic rides and hikes amid pristine beaches, marshland, quaint villages, and beautiful vineyards. Highlights include absorbing the region’s history at UNESCO World Heritage Sites; cycling a variety of picturesque paved roads and trails; wildlife viewing opportunities; exceptional local cuisine and fresh seafood; and four-star accommodations. This intermediate cycling tour averages 29 miles per day. Prices start at $2,795 and the departure date is set for September 19-25, 2016. For more information, visit http://ciclismoclassico.com/trips/nova-scotia-bike-tour/. CHATTANOOGA, TN– BikeTours.com has announced its new “Gold Star Tour Collection” to highlight its top picks for bicycle tours around the world that stand out for their exceptional experiences and value. The Collection features 16 cycling vacations across the globe, from popular bike tour destinations in Europe like Croatia and Spain to off­the­beaten path locales such as Burma/Myanmar. Tours were carefully selected from more than 450 tours the company offers in 70 countries in Europe, Asia, Africa, Oceania and the Americas. The collection is divided into categories for three types of travelers: leisurely, novice, and experienced. For example, tours for novices include the perennial European favorite, the “Danube Bike Path (Service Plus),” which features easy cycling on a dedicated bike path and lots of client services like a GPS console and cell phone rental. “Cotswolds and Stonehenge” was selected for well­-designed, off­-the-­beaten-­path routes, as well as its exceptional client service and iconic itinerary. For leisure cyclists, “Cycling and Cooking in Tuscany” made the list thanks to its unique focus on Tuscan culinary arts (including multiple cooking classes and tastings and range of dining experiences), high­ quality rental bikes, and outstanding traveler feedback. “Wine and Bike in Hungary’s Balaton Uplands” was chosen for its wonderful and friendly local guides who offer an inside experience into Hungary. Picks for more experienced cyclists include “Tastes and Trails of Scotland,” a mountain bike tour that takes riders to some of the most remote corners of the west coast in Scotland and “Chile’s Lake and Volcano District,” which features food, culture, and great service in South America. BikeTours.com represents more than 100 local tour companies worldwide. A team of tour advisers helps travelers choose, plan, book, and go on the tour of their dreams. Learn more at www.biketours.com, 877.462.2423. Riders on Rail-Trails Conservancy’s Sojourn on the Great Allegheny Passage pass through the Eastern Continental Divide. This year, RTC has expanded the Sojourn series to four hosted bike tours (photo courtesy of Rail-Trails Conservancy). For the first time in the 14 years of hosting a Sojourn bike tour showcasing a rail-trail, the Rail-Trails Conservancy has expanded the series to four rides: the first, in Florida, was held in February. The next, on the popular Allegheny Passage in Pennsylvania, is scheduled May 6-8, the third is a four-day/three-night North Bend Rail Trail out of Parkersburg, West Virginia (June 19-22 and the last is four-days/three nights from Cleveland to Columbus on the Ohio-to-Erie Trail, Ohio in September (date to be announced). The sojourn rides are crafted to weave experiences that go beyond simply riding from point A to point B. Each sojourn aims to transform trail users into advocates and create the economic case for trail networks nationwide. For example, the West Virginia Sojourn is being held on the North Bend Rail Trail out of Parkersburg WV. It is an incredible trail but does not yet connect to the two communities on either end, Parkersburg and Clarksburg. This ride serves to bring attention to those gaps and advocate for their completion. The corridor is also part of a much larger trail development effort being undertaken by the Industrial Heartland Trails Coalition. 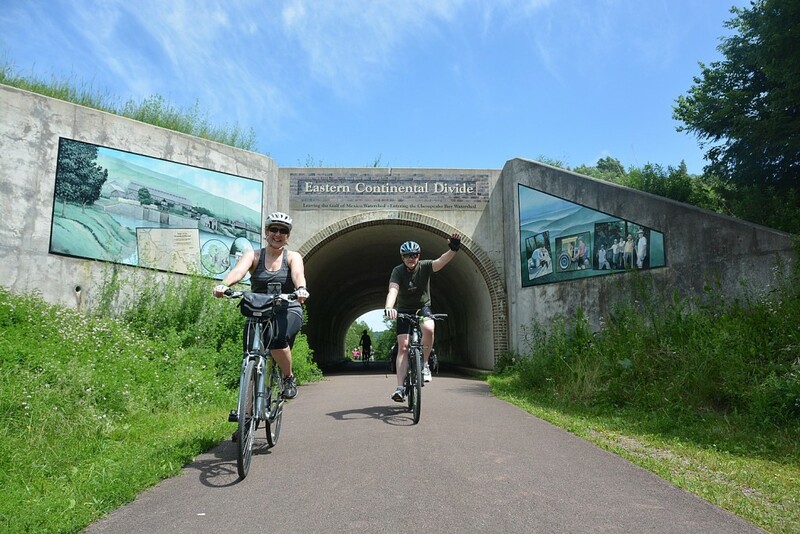 The May ride is on a 120-mile section of the Great Allegheny Passage, to allow for a short, three-day excursion (a great way to celebrate Mother’s Day weekend). from Meyersdale to Pittsburgh. Since 2001, more than 3,000 riders have joined RTC’s sojourns—many of them on the GAP. These rides not only highlight incredible trails, but they also help empower communities to complete trail networks that will benefit the entire region. Equally importantly, they highlight the economic benefit to communities, particularly those who have seen older industries shut down, along with the rail lines. RTC’s 2015 Pennsylvania Rail-Trail Sojourn brought visitors from 35 states and had an economic impact of more than $245,000 – something significant for a town like Dunbar, Pennsylvania, which once depended upon mining. The rail-trail could be an engine for a new economy fueled by lodging, restaurants and gear shops. In fact, RTC estimates that the trail would generate more than $40 million in direct spending from trail users annually. For more information about the rides and to register, visit railstotrails.org/sojourn. Rails-to-Trails Conservancy, a nonprofit organization with more than 160,000 members and supporters, is the nation’s largest trails organization dedicated to connecting people and communities by creating a nationwide network of public trails, many from former rail lines. Founded in 1986, Rails-to-Trails Conservancy’s national office is located in Washington, D.C., with regional offices in California, Florida, Ohio and Pennsylvania. For more information, visit www.railstotrails.org.